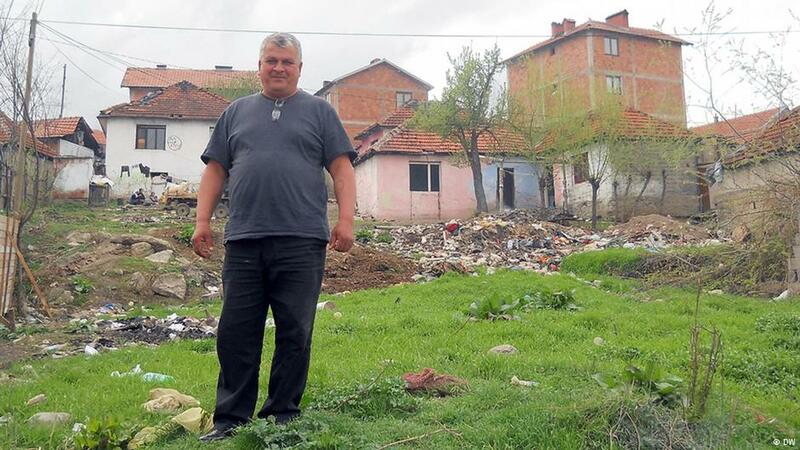 In Peja-Western part of Kosovo there is a miserable slum area that's drowning in garbage; rubbish piles are being burnt carelessly in the streets. This is where Ardian Canaj is supposed to feel at home now. The 20-year-old was born and raised in Germany, but seven months ago he was deported to his parents' home country. "I went to school in Germany, but that's over now. I have to work to pay my rent," Canaj explained. He earns a mere 100 euros a month - and rent costs 120. "I'm feeling awful here. I don't have my family here or anybody who's close to me. I don't see a future here for me" he said. Germany received permission to deport Kosovars in 2009. Kosovo was considered safe enough now for them to return. And so, in 2010, German interior minister Thomas de Maizière signed a repatriation agreement with the Republic of Kosovo, which foresaw the return of some 12,000 members of minority groups to the Balkans - among them 6,000 children and teenagers. UNICEF, the UN's child protection organization, says the deportation of young people should be stopped if it threatens their mental and physical health. This is almost always the case, according to the UNICEF report "Silent harm," which was released in Berlin in late March this year. "A lot of teenagers suffer from depression," said UNICEF sociologist Verena Knaus. "There are children who are in states of anxiety and who are even contemplating suicide. Every fourth teenager wants to kill himself." 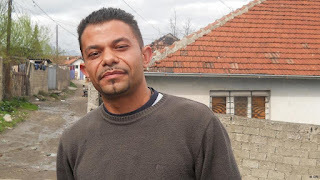 Shkëlzen Rama, 52, is from the area where Canaj now lives and has often witnessed the deported children's suffering. "They can hardly integrate into society at all. If you're born and raised in Germany you simply don't speak enough Albanian." And then there are also differences when it comes to the standard of living, he says. "Our children don't ask for more than a slice of bread and sweet pepper, but what can we offer young people who have grown up in the West and are used to getting pizza and ice cream?" Kosovo is the poorest country in Europe and has an unemployment rate of 40 percent. 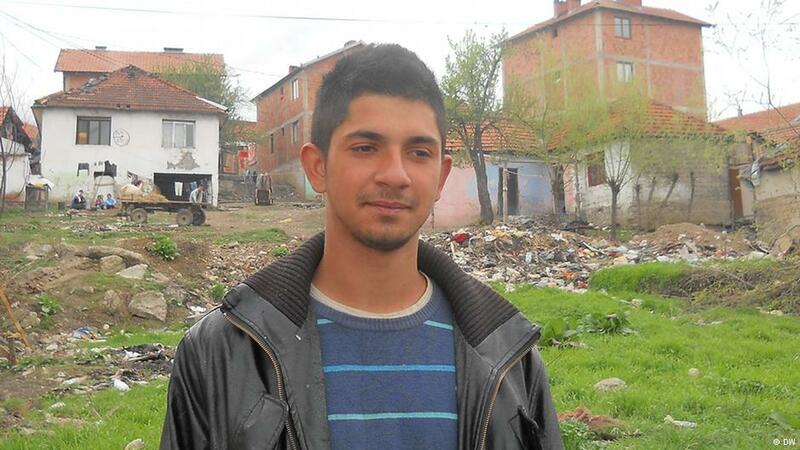 But it's not just poverty that's making life hard for Canaj - his situation is made worse by the fact that he is a Kosovo Egyptian. Serbs and Albanians call them Gypsies - a term they also use for members of the Roma and Ashkali communities. Kosovo Egyptians believe that they originally came from Egypt, while Ashkalis say they came from Persia. Shortly after the war between Serbia and Kosovo, members of all three groups were expelled by the Albanians, who claimed the minority groups had collaborated with the Serbs. Today, Roma, Ashkali and Kosovo Egyptians still experience discrimination in their daily lives. In addition, many of those who are deported, like 28-year-old Faruk Kelmendi, find it hard to deal with separation from their families. He came to Germany with his parents when he was eight years old. "When I had to go back to Kosovo I simply couldn't do anything. I didn't have a job or a flat and I had to sleep in strange places all the time," he said. "At first, my wife supported me financially, but eventually we split up. She's still in Germany with our daughter and I'm here - the distance was simply too much of a strain for our relationship." Kelmendi is all alone now. Poverty and loneliness - these feelings dominate the lives of many who have been deported from Germany. Canaj knows them well, too. "I would give anything to be able to return to Germany," he said. "I've left my whole life behind there."